I did not grow up eating this, my husband did; I ate pot roast. 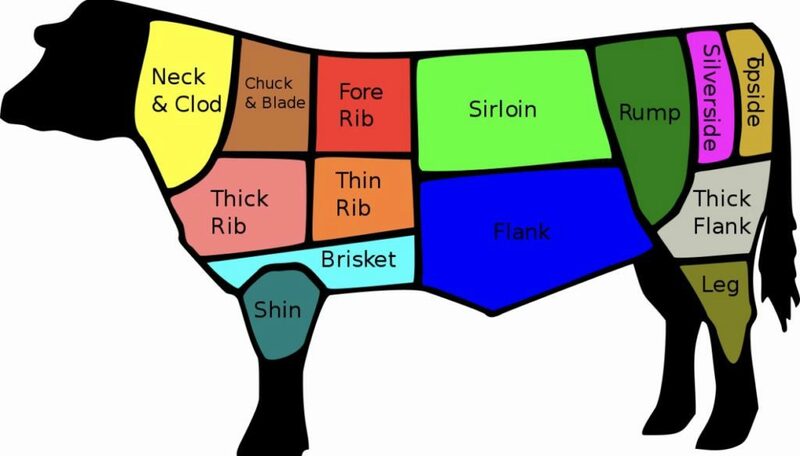 Short ribs are a cut of beef taken from the brisket, chuck, plate or rib areas of a cow. In essence, they are the short portion of the rib bone, which vary in thickness. 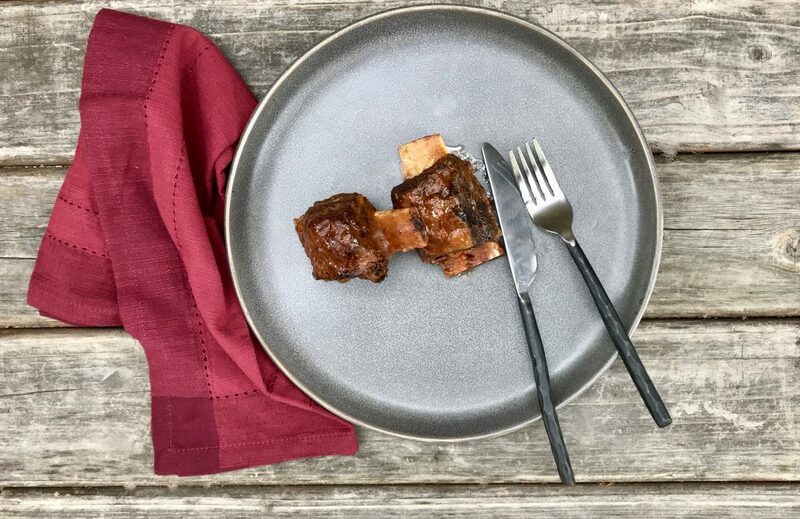 Short ribs come two ways: (1) “flanken cut,” which is cut across the bone (about 1-2 inches long), and (2) “English cut,” which is the cut parallel to the bone (about 6 inches in length). English cut short ribs can be served individually or, more commonly, connected–which is referred to as “plate”. Short ribs are themselves a fattier cut of meat, allowing for a more rich flavorful taste. That flavor is also what makes it superior to pot roast. According to my sixth-grader, short ribs are “boss” in comparison to other roasting beef cuts. I tend to agree, and now cook with them often. I have come to believe a slow cooked short rib is truly one of life’s simple, decadent savory pleasures. Flavorful, tender meat that falls off the bone and practically melts in your mouth is well worth the labor of love put into making them. But short ribs must be cooked slowly, they simply cannot be rushed. You can braise them in the oven, cook them stovetop or use a slow cooker, which is what I have come to prefer over the years. My recipe takes a good 9 hours from start to finish. But on a cold or rainy night, they’re the perfect hearty comfort food you’re looking for. My husband, who is Jewish, was raised on short ribs, and they were a common dish seen at Passover, an important holiday commemorating the liberation of the Israelites from Egyptian slavery. 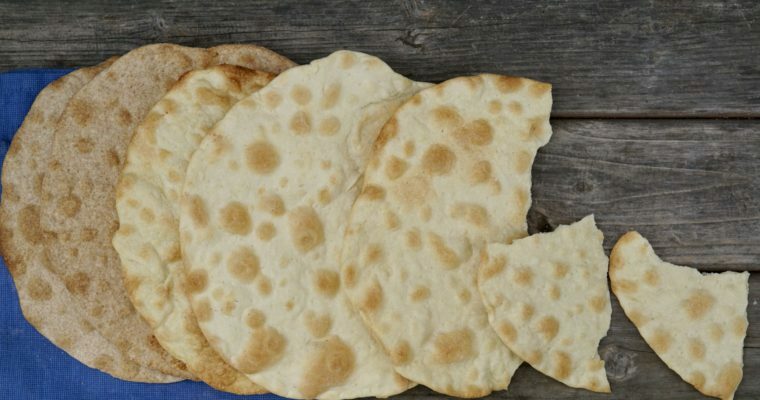 We now carry that tradition on with our boys (substituting matzo meal for flour), but my older son (a true carnivore) would eat them everyday if I served them. Accompanied by almost any form of potatoes, they are, to him, the ideal dinner. Requested now for birthdays, the start of school and other various special occasions, I can often be found searing short ribs while simultaneously making breakfast at 7 am and trying to get my kids ready for school. (Not typical I know, but I am who I am.) I have made numerous short rib recipes over the years and continually test out new ones. Two favorites have been one that called for over 50 cloves of garlic (that was exhausting) and another more decadent one, which required 2 whole bottles of full-bodied red wine (“rich” does not begin to cover it). What I noticed about these recipes, however, was my kids wouldn’t eat them. 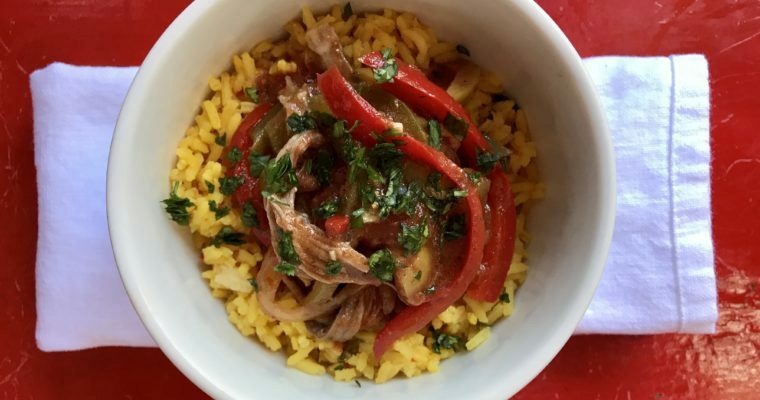 This recipe I developed is a much more basic one, a family friendly version made in a slow cooker, but it does require a bit of patience (as well as some advance planning). 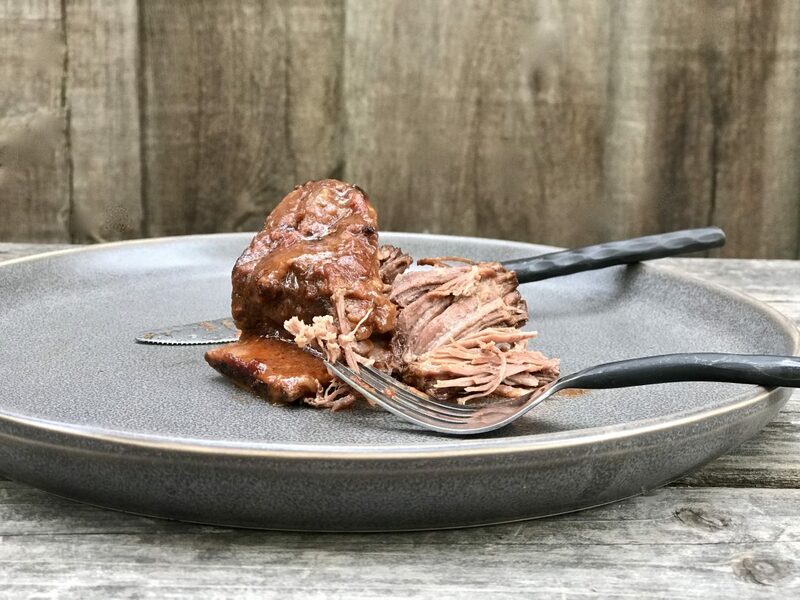 The end result is worth it, as you will have a rich, tender, flavorful meat far superior to the dry tasteless pot roast of my youth, and thanks to the slow cooker, it’s practically cooked itself! Step 1 Season short ribs generously with salt on all sides. Step 2 Evenly coat the short ribs with flour, shaking off any excess. Set aside. Step 3 Place a large pan over medium heat. Add 2 tablespoons of olive oil. When hot, but not smoking, add the onions, carrots, celery and garlic. Sauté till beginning to brown, about 6-8 minutes. If adding red wine, add it now and cook with the vegetables one minute longer. Place the vegetables in a medium-large slow cooker. Step 4 Place the pan used for the vegetables back on the stove over medium-high heat. Add the additional 3 tablespoons olive oil and heat. When hot, add the short ribs coated in flour. Sear the short ribs for about 1 minute on each side. Turn the short ribs frequently until all sides are browned, about 10 minutes. Remove from the heat and place on top of the vegetables in the slow cooker. Step 5 Add the tomatoes, tomato paste, 1 teaspoon salt and the water to the slow cooker, stir gently. Place the cover on the slow cooker and set timer for 8 hours on low heat, carefully turn once while cooking (if you are able, not required). Step 6 When the short ribs are finished cooking, turn the oven on to 400 degrees F.
Step 7 Using tongs, gently remove the short ribs from the cooking liquid and place in a rectangular baking dish. Step 8 Strain the cooking liquid through a fine sieve into the baking dish using a soup ladle to smash all the cooked vegetables and push the liquid through. Discard the solids. Step 9 Place the short ribs in the oven and heat 20-25 minutes till the sauce has darkened a bit in color. Step 10 Remove from the oven and cool slightly before serving. You can remove the bone prior to serving or leave it in for a more dramatic presentation.